The award capped a bitter dispute between Venezuela and Crystallex International Corporation, a Canadian mining company. The fight began in 2002, when Crystallex acquired the rights to develop the Las Cristinas gold deposits in Venezuela. Despite the mining company’s years-long efforts to obtain the necessary permit, Venezuela denied Crystallex the permit in 2008. Later that year, the country announced that it would operate and exploit Las Cristinas itself. After two years of briefing and discovery, the tribunal unanimously concluded that Venezuela had breached the BIT. The tribunal outlined two particular violations of the BIT. First, it found that Venezuela’s actions violated the BIT’s guarantee of fair and equitable treatment. 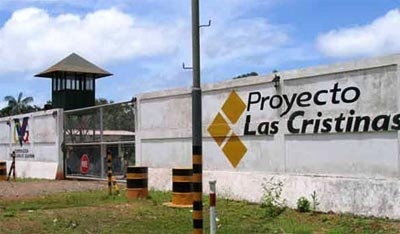 The tribunal criticized Venezuela for denying Crystallex the permit and rescinding its contract with the company, commenting that Venezuela’s acts “lack[ed] transparency and consistency.” Second, the tribunal concluded that Venezuela breached the BIT’s ban on expropriation when the country decided to exploit Las Cristinas itself. As compensation, the tribunal applied the principal of “full reparation” and arrived at an award of $1.202 billion. With interest, the award has now climbed to nearly $1.4 billion. After its win before the tribunal, Crystallex sought to confirm its award in the United States District Court for the District of Columbia pursuant to the Convention on the Recognition and Enforcement of Foreign Arbitral Awards (the New York Convention). In response, Venezuela sought to vacate the award. Venezuela advanced two primary arguments. First, it asserted that the tribunal addressed matters the BIT did not consign to arbitration. Second, Venezuela contended that the tribunal used inappropriate methods to calculate the award. On March 25, 2017, however, the district court entered an order confirming the award and denying Venezuela’s motion to vacate. The court explained that none of Venezuela’s arguments were sufficient to vacate the award under New York law. It emphasized the deferential standard courts apply to their review of arbitral awards, both foreign and domestic. Under that standard, the court declined to disturb the methods the tribunal had used to calculate the $1.2 billion award. With respect to the scope of the BIT, the court found that Venezuela “clearly and unmistakably assigned the question of arbitrability to the Tribunal.” With the “deferential lens in place,” the court rejected each of Venezuela’s purported examples of the tribunal’s exceeding its scope. The court also concluded that Venezuela could not use Article V(2)(b) of the New York Convention as an escape hatch. Although the provision allows a court to deny confirmation of an award if the award is contrary to the public policy of the country in which confirmation is sought, the court determined that the award did not meet the demanding standard of “violating the forum state’s most basic notions of morality and justice.” Accordingly, the court confirmed the award. On April 24, 2017, Venezuela filed a Notice of Appeal with the D.C. Circuit Court of Appeals, signaling that the fight with Crystallex is far from over. The following day, Crystallex sought to register the confirmation order in Delaware, prompting a heated response from Venezuela. Thus, it appears that the decades-old fight may continue for months – or years – to come.